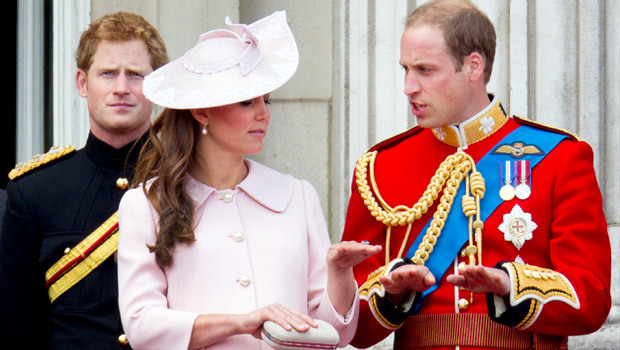 Kate Middleton To Give Birth To Royal Baby In Berkshire? 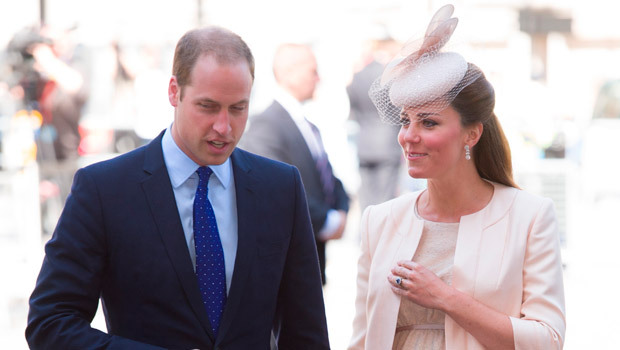 Kate Middleton may give birth to the royal baby at a hospital in Reading, new reports reveal today. Despite photographers camping outside the Lido Wing at St Mary’s hospital for weeks, it’s thought the Duchess of Cambridge could be planning to have the royal baby elsewhere. Kate Middleton, Prince William and baby bump are currently enjoyed some R&R at her parents’ home in Bucklebury, Berkshire, after traveling to the sprawling country pad over the weekend. Now it’s thought if Duchess Kate goes into labour, she may not return to London after all – and could instead travel to Royal Berkshire Hospital in Reading. One royal source told the Telegraph: ‘There are contingencies in place for wherever the Duchess happens to be, and one of them is the Royal Berkshire. ‘It is still a possibility that she could give birth there, though that would only be in extremis, as the expectation is that she will go to St Mary’s. The source added that Prince William and Kate Middleton were ‘calm’ and ‘relaxed’ as as they waited for the royal baby to arrive. The latest Kate Middleton baby reports are in line with rumours earlier in her pregnancy that she may give birth away from London. At the time, it was said that Kate’s family wanted the royal baby to be born at a hospital local to the Middleton family home. ‘Kate’s family want the baby to be born at the Royal Berkshire Hospital,’ a family friend told the Telegraph earlier this year. A separate source told the Daily Mail that the secluded Middleton family home is where Kate feels ‘safest,’ and will keep her away from prying eyes until she is ready to return to London. ‘Kate just feels safest and most secure when she’s with her family,’ the insider said. Kate’s surgeon-gynaecologist Alan Farthing, who also looks after the Queen, will travel to whichever hospital the the Duke and Duchess finally use. Insiders say Kate Middleton will then spend at least the first six weeks after the birth of her first child away from the spotlight, at her parents’ home, before returning to London. The £4.85 million seven-bedroom Georgian manor, which the Middleton family purchased last year, comes with 18 acres of land, and ‘fantastic views’. Earlier this week, Duchess Kate’s mother-in-law, the Duchess of Cornwall, is thought to have let slip Kate Middleton’s due date during an official visit to Devon and Cornwall with Prince Charles. Admitting she had been waiting ‘at the end of a telephone,’ Camilla said: ‘We don’t know what’s going to happen. We’re all waiting at the end of a telephone. 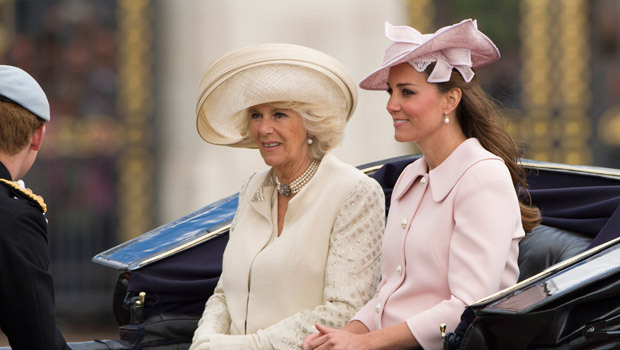 KATE MIDDLETON’S DUE DATE REVEALED BY THE DUCHESS OF CORNWALL?